Your little girl is your lovely doll. With curious eyes, cute face and sweet talks, she has conquered your heart. Watching her play or sleep makes you feel happy. But what about the things that make her happy? Her favourite doll will undoubtedly be the Barbie dolls . 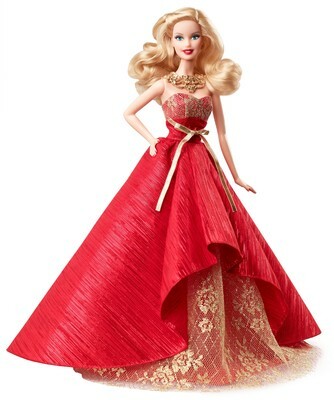 With large eyes, silky hair and beautiful dress, the Barbie has become your daughter’s best friend. No other toy has the elite status of a Barbie doll and is considered a favourite by little girls around the world. Throughout the years, the evolution of Barbie dolls was tremendous. It has transformed from being a mere doll to a toy that has great influence on the children. Barbie is now the face of every fairy-tale princess, the icon of little fashionistas and the friend every little girl invites to her tea party. Barbie dolls are available in various types and styles. Each differs from other in the type of personality it portrays, the ethnicity it represents and the fashion series it is added into. The wide variety of Barbie dolls are briefly categorised as follows. represent an individual personality like a college student or may be a part of specific theme like princesses and fairy tales. Dolls by Barbie also include male dolls like Barbie’s boyfriend Ken or other male characters from stories. Barbie dolls now come accompanied with play sets and doll houses that represent a real-life scenario like a house, school, shopping mall, kitchen, holiday spot etc. This will help children come up with an imaginary situation to play with. As this require observation of what is happening around them, children will start observing their surroundings and will develop their imagination and thinking skills. Nowadays little girls don’t want a simple Barbie, but they want a stylish doll flaunting a modern appearance. These type of dolls represent the modern fashion scenario by being dressed in the miniature versions of collections that are trending in the fashion world. Wearing short skirts, frocks and high heels, flaunting a stylish hairstyle and carrying a purse or a handbag, these dolls create a definition of fashion in little girls’ minds. These dolls represent different careers from real life. The most popular careers that are presented through Barbie dolls are teacher, doctor, nurse, chef, musician, sports personality, etc. These dolls will help teach your child about the different career opportunities and if your daughter is attracted to a particular career doll, chances are there that she might choose that career in future. Now you don’t have to drive around to find toy stores to gift your little one a Barbie doll. You can buy Barbie dolls online from shopping websites.